Sunmica Design is the overlaid on various surfaces such as MDF or wood and made by the mixing of paper and resin. 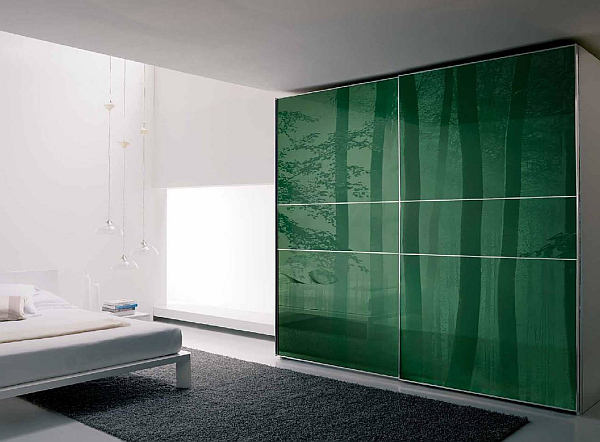 They can be applied to kitchen shutters, furniture, flooring and wall panels. They are available in an array of prints and colors. 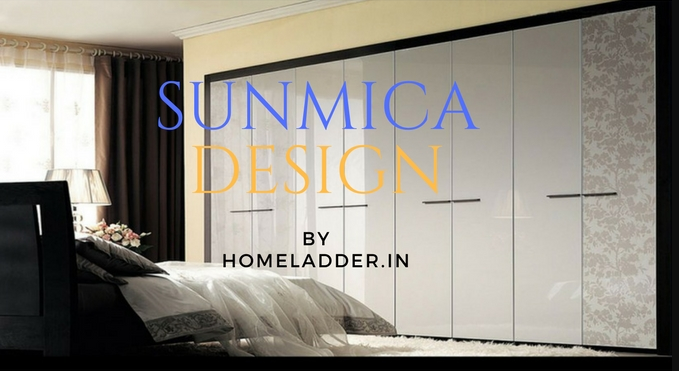 Sunmica is a reputed laminate selling brand in India. How to Choose the Right Kitchen Sunmica Design? For choosing the right Sunmica design for your kitchen, you have to consider an array of factors such as finish, color, and print, size, price, upkeep, and durability. 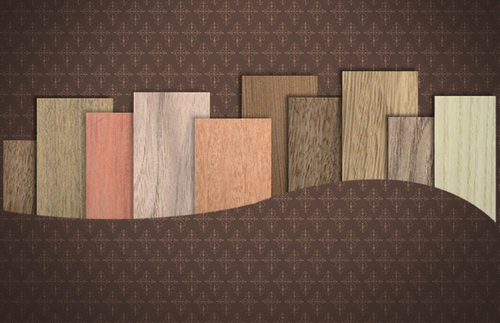 You can choose the color, Sunmica design or finish from a sea of options. They are available in various digital prints from wooden to funky and floral motifs. You can choose from an array of laminate finishes such as glossy, matte, solid color, textured and digital print. Each is associated with certain merits. For instance, the glossy finish is preferred by many customers for being a low maintenance laminate, whereas the textured laminate is ideal for furniture and the solid color for kitchen countertops. Upkeep is another important factor to consider when choosing laminates. Laminates are fairly easy to maintain. They require a little dusting and wiping with a slightly wet towel. They are scratch and resistance proof but still should be avoided around the wet areas as they warp on exposure to water. The industrial laminates are more tough and durable and are used in hospitals and other industries whereas the decorative laminates are good to be used at home. 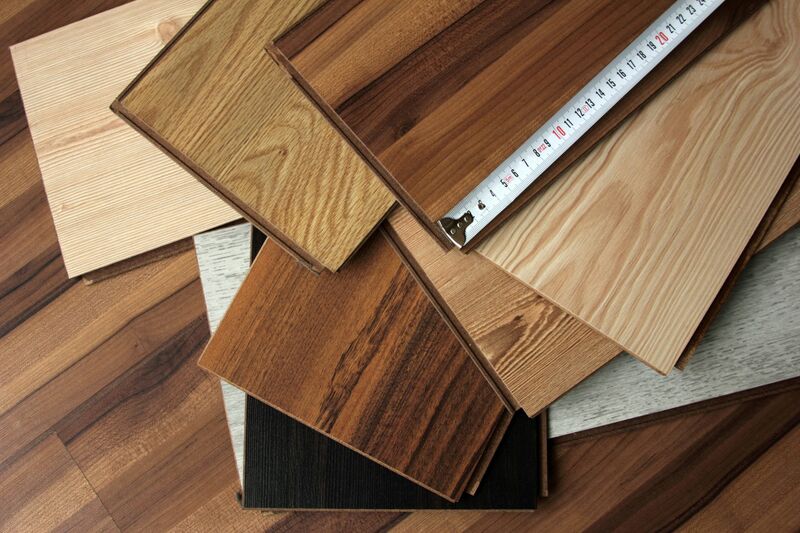 You should choose the type of laminate according to your requirement. 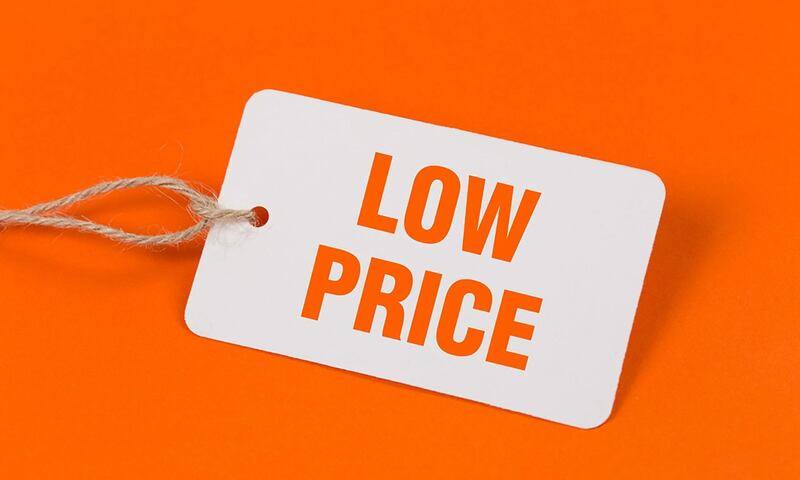 For instance, if you are considering laminate for MDF crafted furniture, go for low-pressure For the plywood furniture for your kitchen, go for the high-pressure laminates. Sunmica design is preferred by most of the Indian buyers for being inexpensive as compared to the expensive membrane or acrylic finish. Why Should You Choose Sunmica Door Design? The door is an important part of a house and hence it should be crafted with the strong, durable and aesthetically appealing material. Many homeowners cannot decide whether to choose a membrane or Sunmica door. Here are the various reasons why opting for the Sunmica laminated door would be beneficial. One of the foremost reasons for choosing a Sunmica door is for its affordability. They are crafted from inexpensive material. The Sunmica doors are light in weight. They are water-resistant as the wood is covered throughout the laminated door with the polymer film that protects it from water damage. Sunmica designs are available in various digital prints, colors, and textures giving buyers more options thereby. Sunmica doors are hygienic, durable and need less polishing. These doors can be easily installed without any expertise. 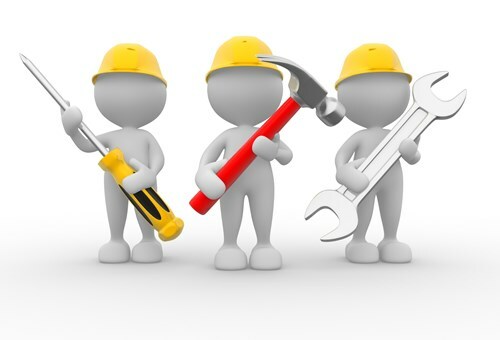 They are preferred by most of the homeowners as they can last for years with little maintenance. They require a little dusting and wiping with a slightly wet towel on a daily basis. The color red signifies passion and white signify The combination of the two looks mesmerizing. The red and white combination looks splendid on a wardrobe as well. Sporting a high glossy finish, the elegant kitchen sunmica design lends an exquisite charm to the bedroom décor. The sparkling white floor, walls, and ceiling give the room a spacious, fresh and airy feel to the room, which is a must in a bedroom. 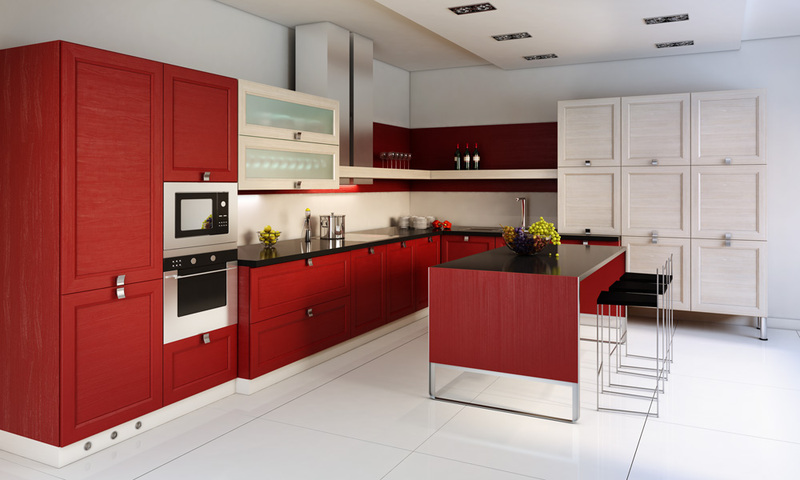 Impart a stylish look to your kitchen by incorporating red accents and red Sunmica cabinets into its décor. Red signifies strong emotion like passion or hunger and can rightly be included in your kitchen colour scheme. Take your contemporary kitchen décor two notches higher by pairing red with white. The red and white colour combination can breathe life into your kitchen décor making it look aesthetically appealing. The perfect blend of different shades of brown, lend an earthy and rustic charm to the bedroom. 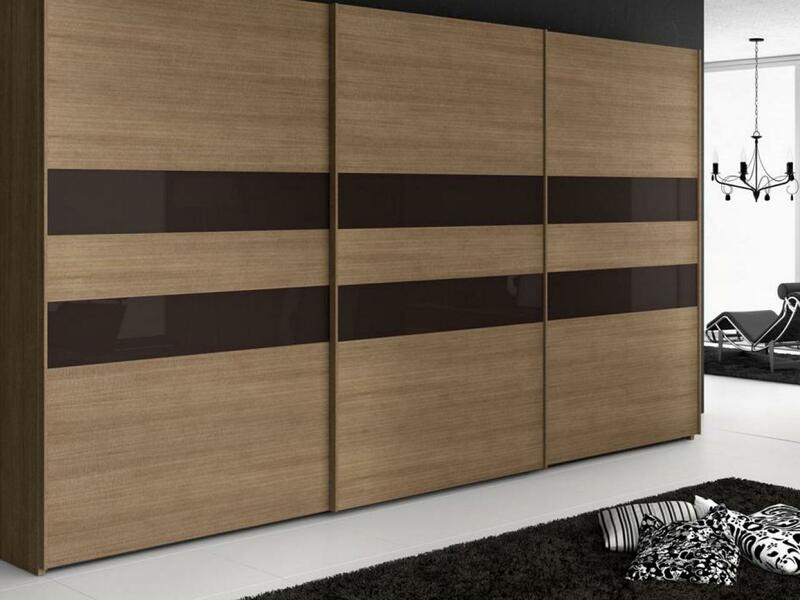 The wardrobe flaunts a medley of dark brown and caramel shade that gives character and a new dimension to the bedroom. White ceiling and wooden floor of the room complete the décor, imparting it a sophistication and snugness much required for a bedroom. 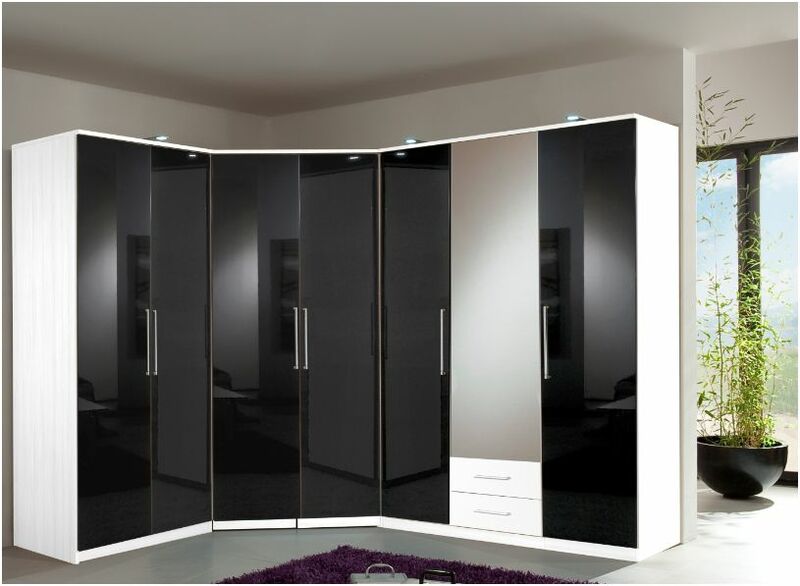 The black and white combo of wardrobe imparts a cosy and classy look to the bedroom. The white and black is a timeless combination that will never go out of style. It lends richness to the room décor and at the same time evokes a muted elegance. The sparkling white floor, walls, and white table lamp blend perfectly with the colour theme making the room scream with sophistication. 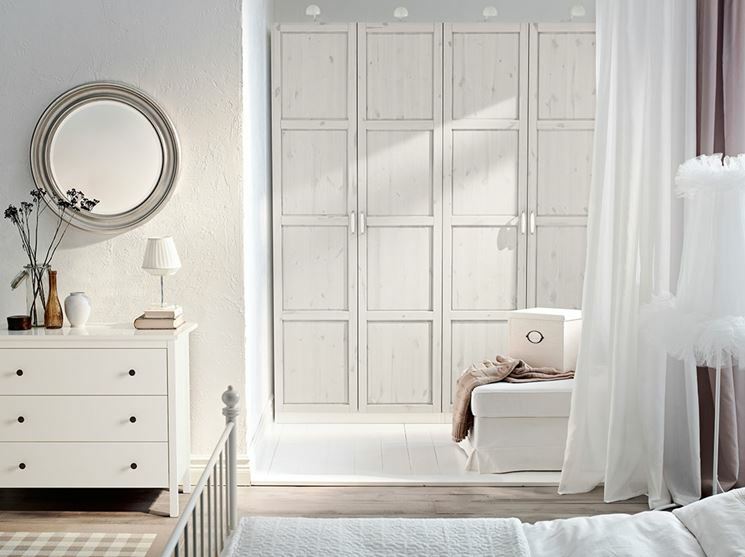 The all-white Sunmica wardrobe design uplifts the décor of the bedroom. 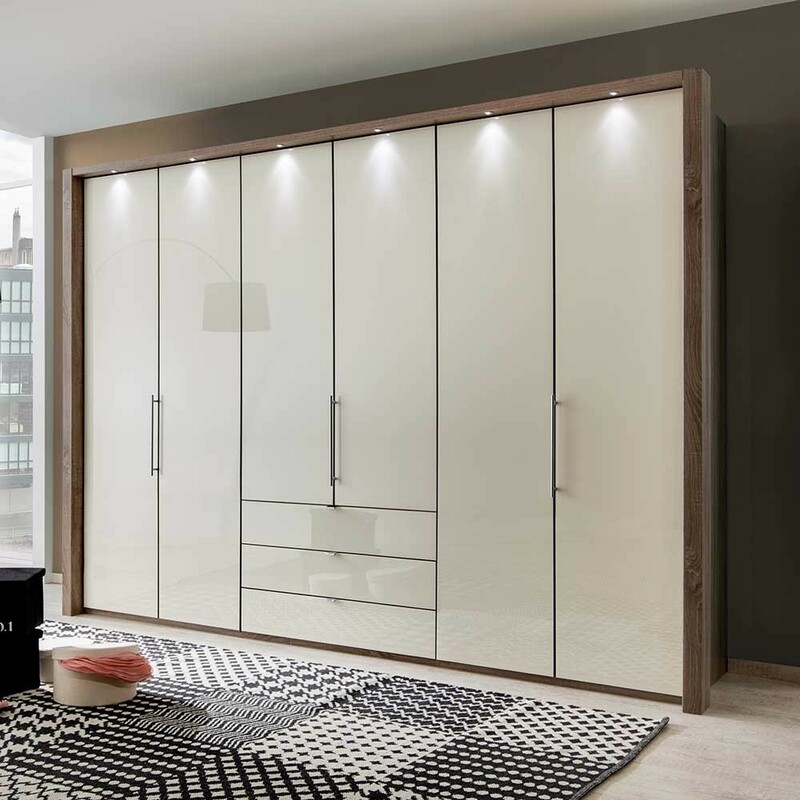 The laminate wardrobe sports a glossy finish, which not only look aesthetically appealing but is easy to maintain as well. Paired with the wooden floor it takes the décor of the room to the next level. The beauty of the wardrobe is boosted further with spotlights installed right above it. 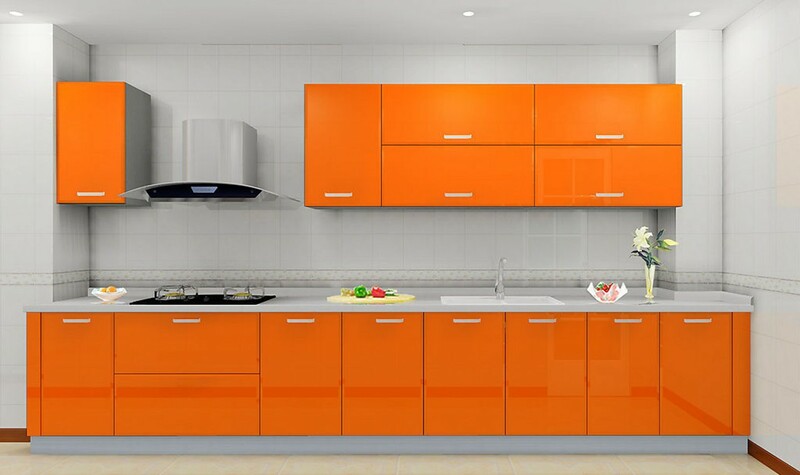 Let your modular kitchen sunmica design scream of freshness by using orange-coloured Sunmica cabinets in the tangerine The refreshing hue is a favourite of the food connoisseurs and is the right shade to be used in the kitchens. The high glossy finish of the cabinets would require low upkeep apart from giving your kitchen a peppy look. Pairing the orange cabinets with wooden laminate lends the right amount of character and understated elegance to the kitchen décor. Nothing looks more resplendent and elegant than the color white. The white-wall cabinets offer plenty of storage space and lend the perfect charm to the kitchen. They form a clean backdrop and take the kitchen décor to a whole new level. The dazzling white hue makes the kitchen look airy and spacious. The all-white theme punctuated with the gray color of the stainless steel gives it a timeless and classic appeal. 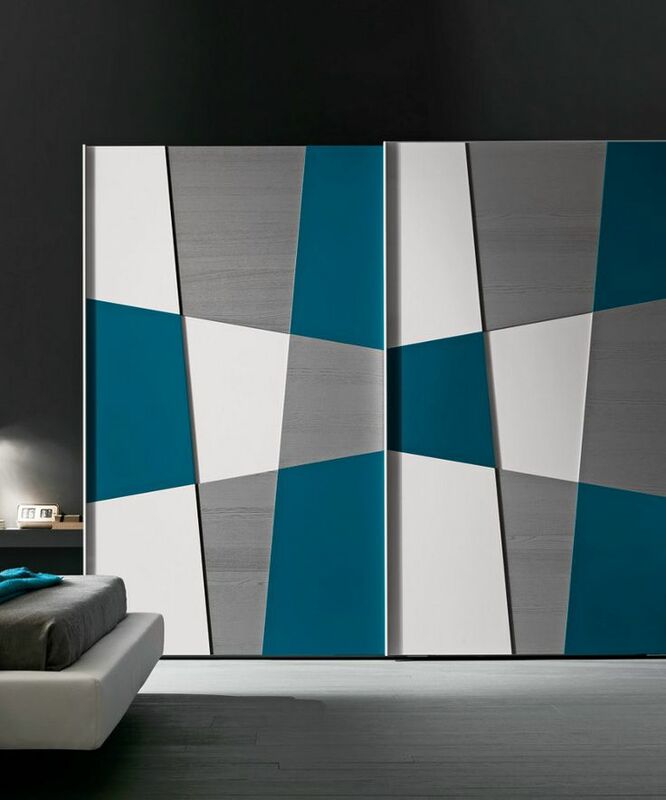 The color blue lends the right amount of coolness to the modular bedroom wardrobe. The airy vibe is further boosted by the crisp white backsplash and grey-colored granite wardrobe countertop. The oceanic blue Sunmica cabinets give the wardrobe a cool, airy and inviting look that echoes a beachy feel. The white and blue color combination punctuated with splashes of grey gives a vibrant yet earthy charm which is simply irresistible. The perennially popular combination of yellow and white work like magic for a wordrobe. 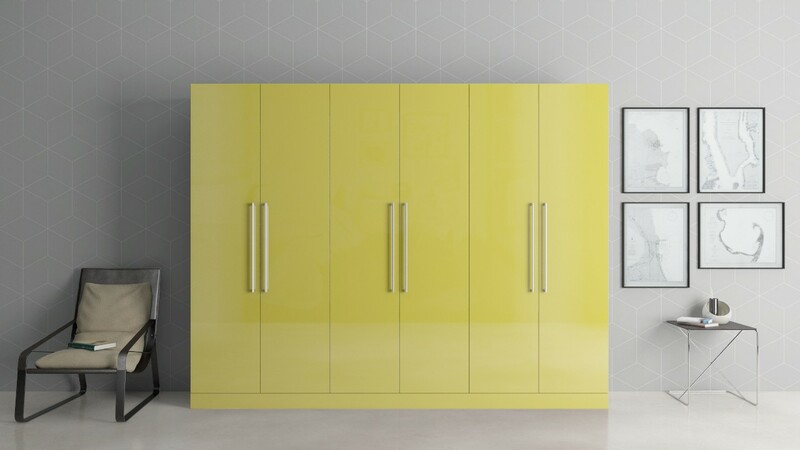 Sleek Sunmica cabinets in a cheery shade of yellow give the wordrobe a vibrant and peppy look. The cheery-themed wordrobe sports an ultra modern wordrobe island that flaunts a metallic countertop. The interplay of bright yellow with muted metallic hue gives the décor a positive vibe and an unrestrained grace. The décor looks complete with sparkling white floor and ceiling.